A leading practitioner in stem cell therapy, Dr. Mike Hutchinson, D.V.M., is a highly sought after speaker at national and international veterinary conferences on the uses of animal stem cells. Dr. Mike has performed more than 1000 Adipose-Derived Stem Cell procedures on dogs, cats, horses, camels and a bird, among his 20,000 surgeries in 31 years of practicing veterinary medicine. Shortly after the terrorism attacks of 9/11, Dr. Mike was trained in the economic consequences of bioterrorism and agro-terrorism through funding from the Centers for Disease Control and Prevention. He also has co-authored a study on Serotypes of Bovine Astrovirus, published in the Journal of Clinical Microbiology. Owner of Animal General of Cranberry and Chairman of the Board of VivaTech International, Dr. Mike is married and the father of five children. A veteran of more than 250 media interviews, Dr. Mike is a regular guest veterinarian on KDKA-TV’s “Pittsburgh Today Live.” He recently concluded his the weekly guest host of “Animal General with Dr. Mike” on powerhouse radio station KDKA-AM. 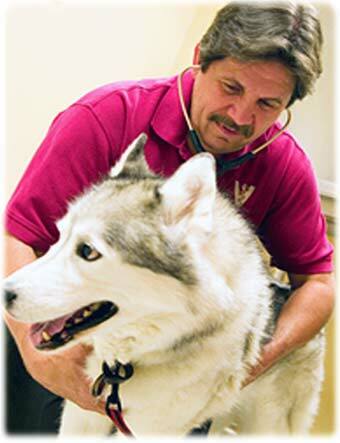 In 2009, he was presented with the “Rising Star Award” from the Veterinary News Network. For volunteering his time and experience, Dr. Mike has received numerous awards from breed clubs, the Cat Fanciers’ Association and Pioneers for Animal Welfare Society (PAWS). He was named to an honorary position on the Board of Directors of the prestigious Theodore Roosevelt Sanctuary for his work with wildlife and received a distinguished service award for 12 years (1986-1998) as veterinarian for the Nassau County, New York Mounted Police Force. Dr. Mike graduated from the Pennsylvania State University in 1981 with a degree in Animal Bioscience, and earned his D.V.M. degree from the Iowa State University School of Veterinary Medicine in 1986. Owner of Animal General of Cranberry, near Pittsburgh, he is married and the father of five children. 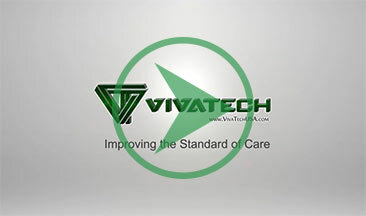 VivaTech is a Pennsylvania-registered Corporation that licenses proprietary technology utilizing ultrasound cavitation to extract the adipose-StroMed cells with extra-cellular matrix from adipose tissue. Unlike other methods of stem cell therapy, the major advantages of using this patented technology is the ease and speed of processing (minutes instead of hours) and most importantly, NO USE OF ENZYMES or chemicals. VivaTech International Inc. is the Sponsor of IRB (Institutional Review Board – of the Institute of Regenerative and Cellular Medicine) approved Clinical Trials for Osteoarthritis of the Knee, Hip and Shoulder. VivaTech International Incorporated is a Pennsylvania based Corporation founded on February 12, 2015. VivaTech has exclusive rights to license Cell-Innovations (Australian company) medical protocol in the U.S. This protocol was developed and implemented in Australia by Dr. Wayne Thomas. This procedure is allowed by Australia’s TGA (Therapeutic Goods Administration). Over 1,500 patients have been treated in Australia by Cell-Innovations using Dr. Thomas’s technology with greater than 82% of the patients reporting a major improvement in reducing pain, with evidence of cartilage regrowth. This outpatient procedure is an autologous adipose derived adult stem cell treatment (Not embryonic). The procedure requires liposuction to harvest the patient’s adipose that is processed on site and injected into the afflicted joint. Blood is also drawn and used for a PRP (Platelet Rich Plasma) procedure that is done in conjunction with the stem cell injection. The whole process is done the same day and takes a few hours. Processing the fat is done with a proprietary ultra-sonication protocol thereby eliminating the risk of contamination from enzymes, etc. No enzymes are used in this process. The clinical trial is currently patient funded. The clinical trial end point is 6 months. An MRI is completed before the procedure and also at 6 months. Survey data is collected measuring pain scores at 0, 2 months and 6 months. 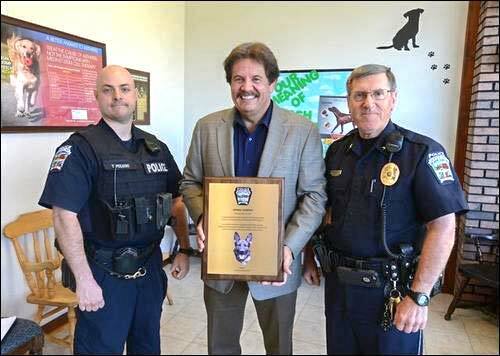 Veterinarian Mike Hutchinson, center, of Animal General in Cranberry Township, receives a plaque Monday celebrating 10 years of partnership with the Jackson Township Police Department to care for its K-9 officers. Hutchinson received the award from Jackson Police Chief Terry Seilhamer, right, and Officer Vaughn Pulgini, handler for the department’s K-9 officer, Aron. Watch this short video to gain an understanding of VivaTech’s Stem Cell Procedure. Stem Cell Transplant Used To Heal Local Woman & Her Own Dog. You can also view this story on CBS Pittsburgh.